In 1948, Martha Graham was the preeminent figure of modern dance. At 52 years of age, Graham danced and fashioned choreography at a pace that those half her age probably had difficulty matching. Just a year before, she introduced two creations, Errand Into the Maze and Night Journey, that proved among her most innovative and durable works. It was only natural, then, that when her friend and former student, Martha Hill, established the School of the Dance on the campus of the Connecticut College for Women that year that she invited Graham to choreograph and dance at the launch of what organizers eventually christened the American Dance Festival (ADF). 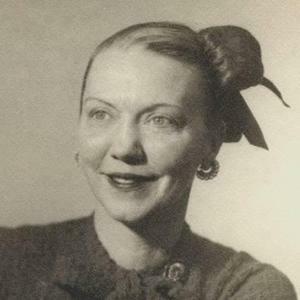 The 47-year-old Hill studied under Graham and joined the Martha Graham Dance Company in 1929. From 1932 until 1942, she also ran a summer dance school and festival at Bennington College in Vermont that featured Graham, Helen Tamiris, Doris Humphrey, and a significant number of others on the forefront of the modern dance revolution. After retiring from performing, Hill began teaching dance. She was on the dance faculty at New York University and Bennington in 1948. In eventually selecting Connecticut College’s New London campus to host the ADF, Hill specifically established the venture in a locale accessible to teachers and dancers in New York City, yet far enough away as to attract new audiences who were not New York regulars. Combining lectures, instruction, and performances over nine days in August, the inaugural event was a rousing success. Administrators reached their initial goal of enrolling 100 students, eventually reaching a total of 119 aspiring dancers. Just as importantly, the combined turnout of aficionados and new patrons also exceeded expectations. Unquestionably, the high point was the Martha Graham Company’s performance. 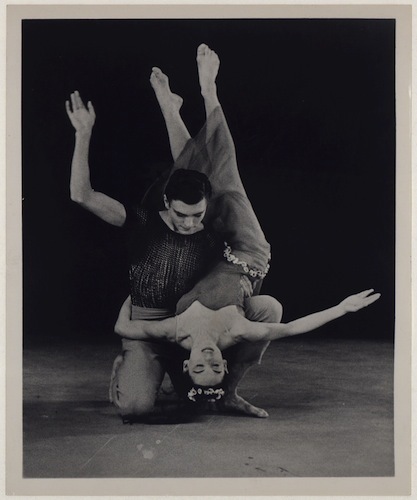 First the group performed programs from their repertory, including both newer works Errand Into the Maze and Night Journey and classic pieces such as Appalachian Spring and Dark Meadow. As well as the audience received those, the highlight that “evoked the wildest enthusiasm,” according to one account, was a new work, Wilderness Stair: Diversion of Angels, the name of which soon changed to simply Diversion of Angels and became a regular in the Graham Company’s repertory. The list of those who performed at the ADF in the 30 years it was in Connecticut reads like a Who’s Who of international dancers, choreographers, musicians, and composers and includes (in addition to Graham), Alvin Ailey, Merce Cunningham, Paul Taylor, Twyla Tharp, Isamu Noguchi, José Limón, Doris Humphrey, Sophie Maslow, Louis Horst, William Schuman, and Jean Rosenthal. Like Graham, many of those who performed also lectured students enrolled in the Connecticut College School of the Dance. Despite the wealth of artistic talent it featured, the festival’s finances often proved precarious. Disputes arose over the monetary obligation of the college to the festival until the ADF board accepted a bid from Duke University to relocate to North Carolina beginning in 1978. The ADF continues to attract dancers, teachers, and students who are among the most talented in the world and its success inspired the creation of other festivals that have made a significant contribution to a thriving modern dance scene. Sixty-seven years after its founding, Connecticut College’s dance department remains successfull. In 2009, the Martha Graham Dance Company returned to the New London campus to perform Diversion of Angels. Martha Hill, meanwhile, continued teaching dance until she was 84. She died ten years later, in 1995. Janet Mansfield Soares. Martha Hill and the Making of American Dance. Middletown, CT: Wesleyan University Press, 2009. Anderson, Jack. The American Dance Festival. Durham, NC: Duke University Press, 1987. McPherson, Elizabeth. 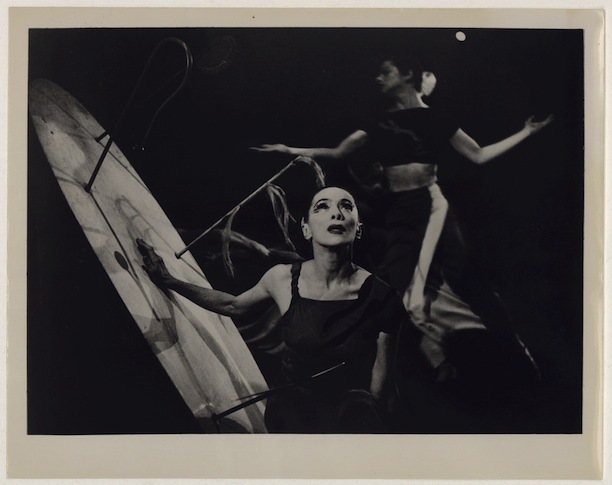 The Contributions of Martha Hill to American Dance and Dance Education, 1900-1995. Lewiston, NY: Edwin Mellen Press, 2008.